Just out from Globe Reels these new hi-tech fishing reels are a tool needed for the serious salt and fresh water fishermen alike. With 9 sealed ball bearings and one a anti-reverse clutch roller bearing. Water sealed large drag system with extra large stainless steel drag discs oil soaked washers and click adjust system for fine tuning your drags when battling your catch. A 5:1 retreive ratio and a line roller with bearing for the braided and spectra line fishermen. Truly a work of art and a great deal for the price. Right or left hand retreive with a simple change of the handle. 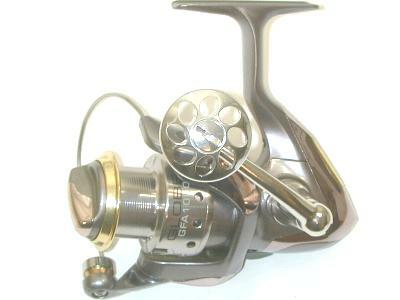 A great reel for a great price. Line capacity on this model is 220/8 165/10 130/12 lb test. Apr 11, 2007 Tom Great value for money super smooth 10 ball baring.